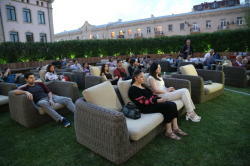 "Mon cinema français" project continues to surprise cinema lovers in Baku. Azerbaijani film lovers have a chance to see some of the greatest French films with English subtitles for free. The project is co-organized by the French Embassy in Azerbaijan and the French Institute and Landmark Hotel Baku in cooperation with the bright representatives of the artistic world of the country. Famous philosopher, audiovisual artist Teymur Daimi will attend the screening of the film "Holy Motors" by Leos Carax on September 7. 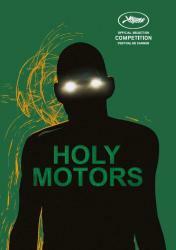 "Holy Motors" is a 2012 French-German fantasy drama film written and directed by Leos Carax, starring Denis Lavant and Édith Scob. Lavant plays Mr Oscar, a man not unlike an actor who inhabits several roles, but there are no apparent cameras filming the man's performances. It is Carax's first feature film since 1999. The film competed for the Palme d'Or at the 2012 Cannes Film Festival. The film screening event starts at 19:00. Admission is free. Notably, the film by Louis Malle "Lacombe Lucien" will be showcased on September 14. Azerbaijani architect, designer, art critic Elchin Aliyev will attend the film screening.